The sophisticated Outlander 300 offers high-quality, wireless sound to completely immerse you in a dynamic music experience. 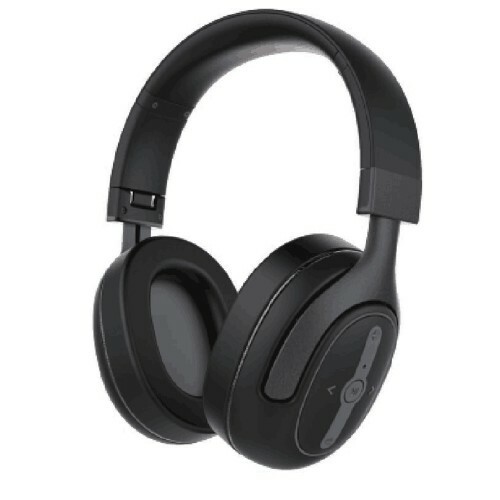 This over-the-ear headset features Bluetooth 4.0 and aptX compatibility to deliver true HI-Fi sound. Fitted with padded velour ear pads to ensure a comfortable fit during extended listening sessions, Outlander 300’s features Active Noise Cancelling technology to eliminate unwanted ambient noise for a completely immersive experience. In addition, Outlander 300 is equipped with multi-functional buttons to play/pause music or take your calls as you head to the office. What’s more, you can pair multiple devices to Outlander 300, to ensure you never skip a beat in any situation.